The UK Security Directory has gone through some major changes and improvements recently and because of this we have had to change our fees. Free listings no long allow a backlink to your website, while Silver listings do. Sliver listings are charged at £5 per annum and our featured listing option is still available at £35 per annum. The reason for this increase in fees is due to the growth of the UK Security Directory. We have over 400 companies listed now and that is growing weekly. Because of this growth and the improvements that have been made t is taking more time to administer the website. Also, we are still committed to manually checking every single directory listing that is requested to ensure that this website does NOT just become a link farm. Our goal is to create a valuable resource for people looking for security services and we are still committed to that goal. If you haven’t visited the website for a while please see the information below regarding the previous updates. 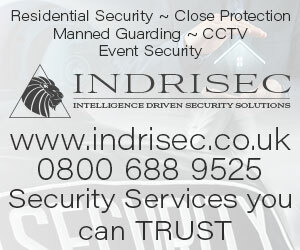 If you already have a listing with the UK Security Directory that was in place before the switch over to our new site then please take advantage of our new offers and update your Listings. To do so use our form on the Submit A Listing page making sure you fill out all the relevant data. Please also start your business description with the text **UPDATE**. That way we can ensure that your old listing is deleted and your new logo listing is published. You may also request a user account giving you full control over your directory listing. This will alllow you to make amendments or upgrades as and when you see fit. To find out the sort of listings we now offer and to potentially upgrade please visit our Fees page.